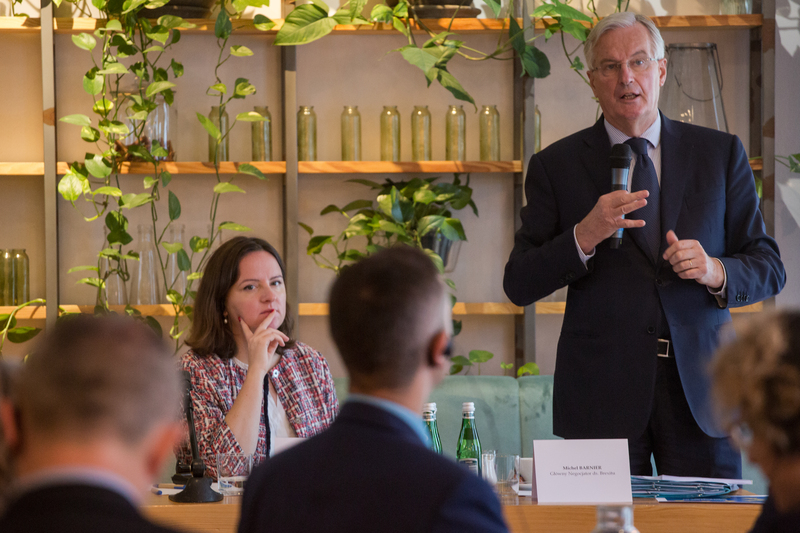 In.europa special guest speaker was Mr Michel BARNIER, the European Union’s Chief Negotiator for Brexit. The event organized in cooperation with European Commission Representation in Warsaw was held under the Chatham House Rule. In.europa Breakfasts give opportunity to hear topical speakers on key political issues. Krzysztof SZCZERSKI, Head of Cabinet of President Andrzej Duda, Mihnea MOTOC from European Political Strategy Centre and Jacek CZAPUTOWICZ, Polish Minister of Foreign Affairs, were among in.europa speakers.